Soledge has just been selected to participate to an exceptional developing program in Denmark, made in association with the worldwide audio high-end leader, Bang & Olufsen. Chosen among more than 400 companies as part of the international contest NextStepChallenge, involving detecting the sector’s most booming companies, this spring 2016, Soledge will integrate, with 4 other gems, a growth acceleration program at the heart of the Hi-Fi Valley. 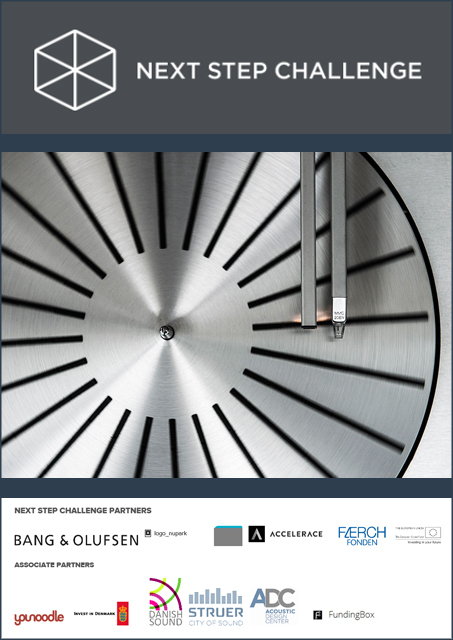 Soledge is the unique French company to join this program initiated by Bang & Olufsen and the Danish government. They will have the opportunity to build the connected Hi-Fi future with the sector’s leaders thanks to their worldwide unique loudspeakers synchronization and syntonization. At the end of this exceptional R&D and trade development accompanying, carried out with Bang & Olufsen and other Danish Hi-Fi big names, Soledge will get the opportunity to finance their development at a larger scale by an important capital increase as well as integrating their technology in manufactured products.